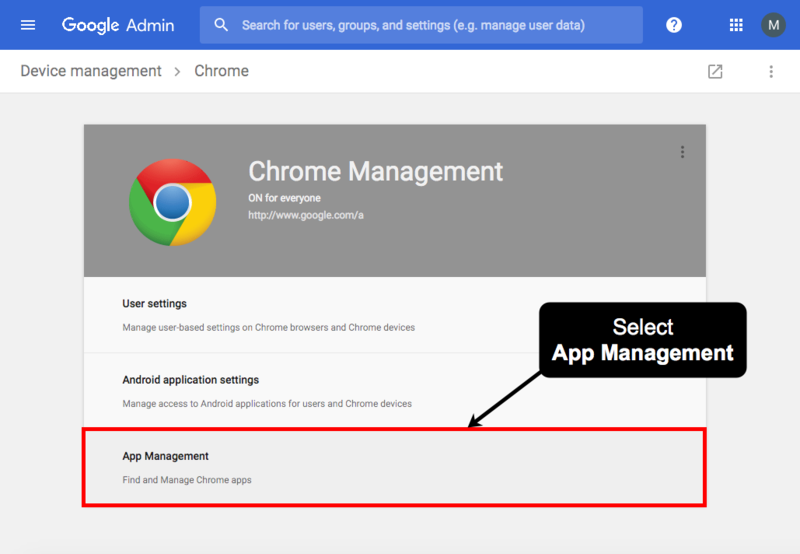 Chrome Management Cloud Policies are a functionality available in G Suite for Work and for Education editions. 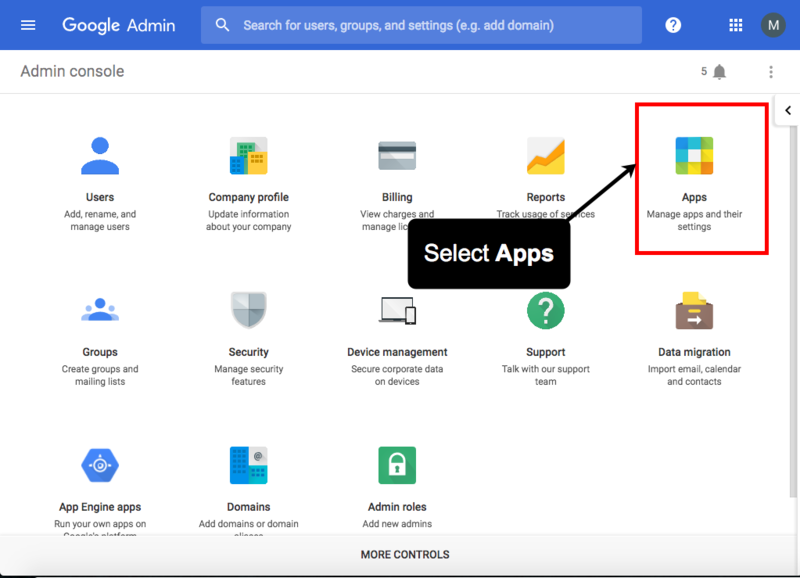 They allow administrators to deploy Chrome applications and extensions to all users on their domain using the the Admin console. 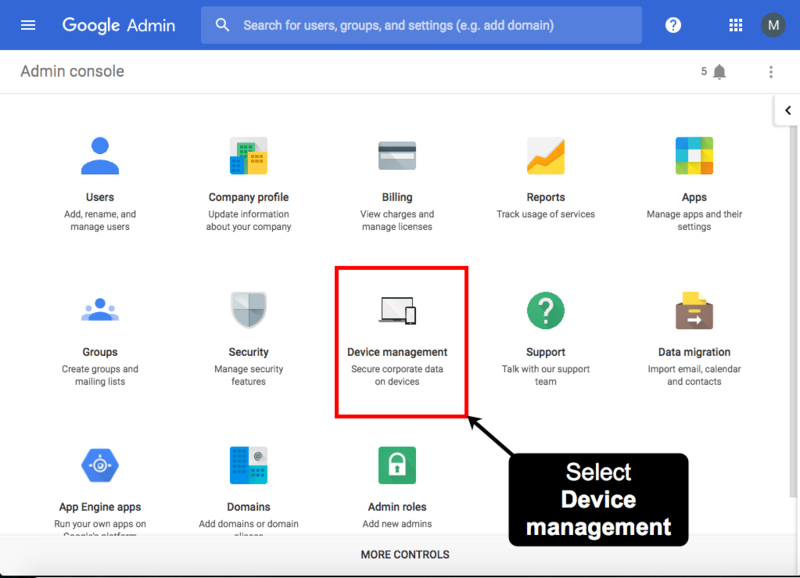 For Cloud Policies to work with the organization unit you specify for Chrome on Windows, Mac, or Linux computers, Chrome Management and Google Chrome Sync must be turned on in the Admin console. 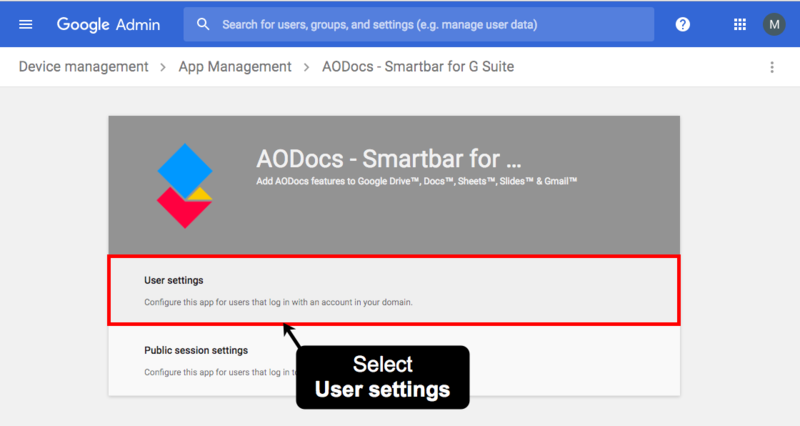 Note: If you’re deploying an AODocs extension using these cloud-managed settings, the extension will be set up on all Chrome browser instances where users have signed in with their G Suite account. This includes computers that aren't managed by your organization (for example personal or public computers where users have signed in to Chrome with their account). 1. Open your Chrome browser and go to https://admin.google.com. 2. Sign in with your super administrator credentials. 3. Select Additional Google services. 4. Open the More actions menu next to the Chrome Management service and select ON for everyone (or for the organization units where you want to apply it). 5. 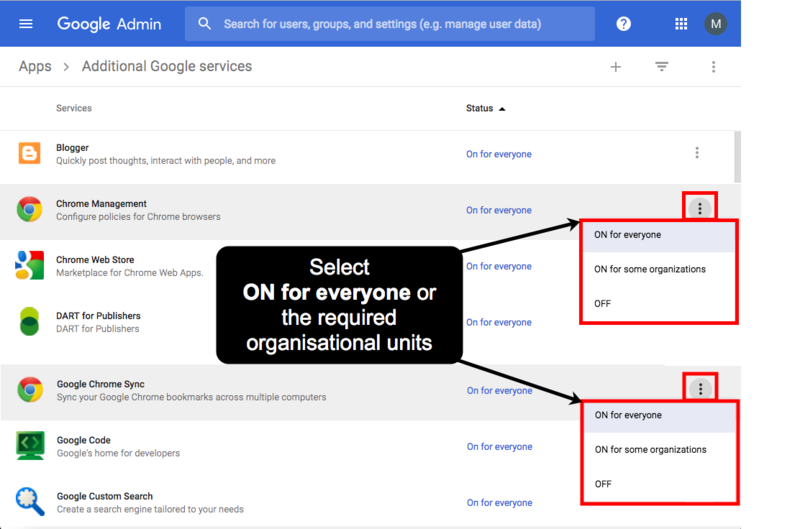 Open the More actions menu next to the Google Chrome Sync service and select ON for everyone (or for the organization units where you want to apply it). 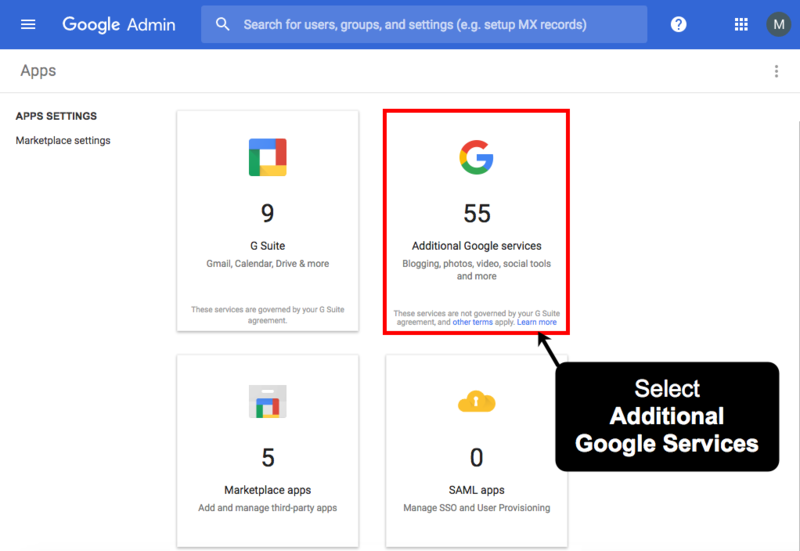 Note: When users sign in to Chrome, the history, settings and data such as bookmarks, apps, extensions, and themes, on that computer are saved and synced to their Google accounts. When users sign in to Chrome from another computer, they retrieve all these settings and data. 3. 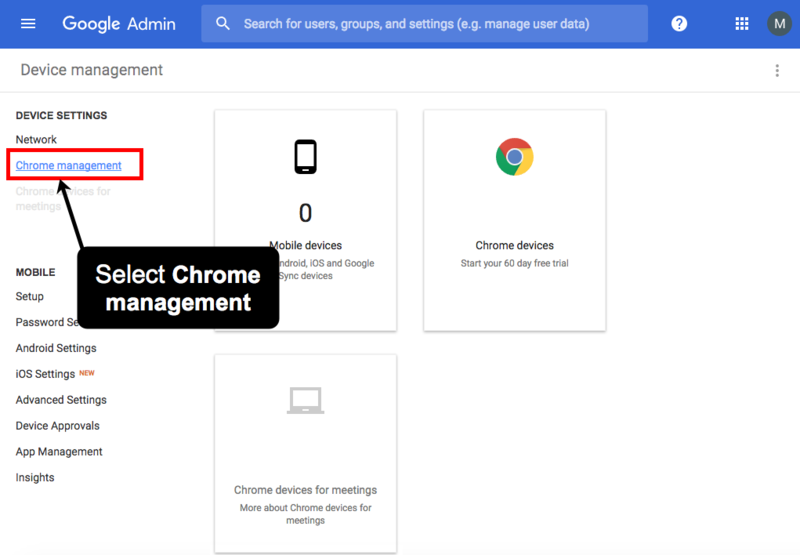 Under DEVICE SETTINGS, select Chrome Management. 5. Search for the required AODocs extension in the search bar under Find or Update Apps and then select the required extension. 7. Select the organizational units where you want to deploy the AODocs Smartbar. 9. 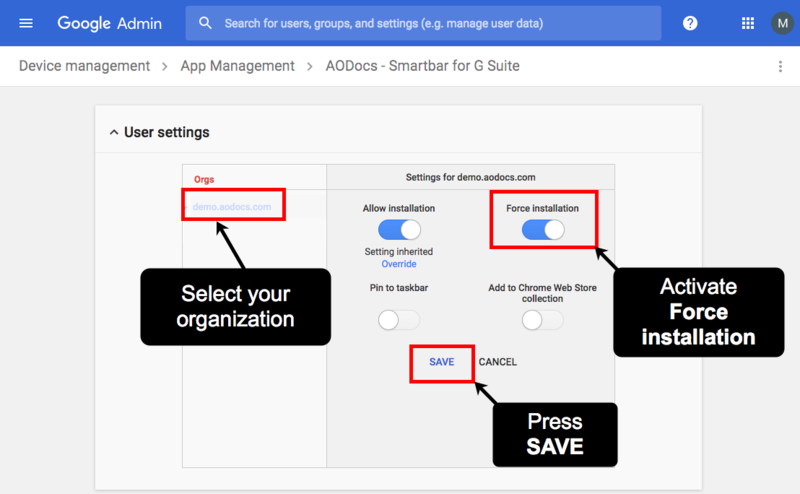 Activate Force installation to deploy the AODocs Smartbar on your domain. End-users should see the name of the AODocs extension with the indication Installed by enterprise policy. End-users can't delete the extension.